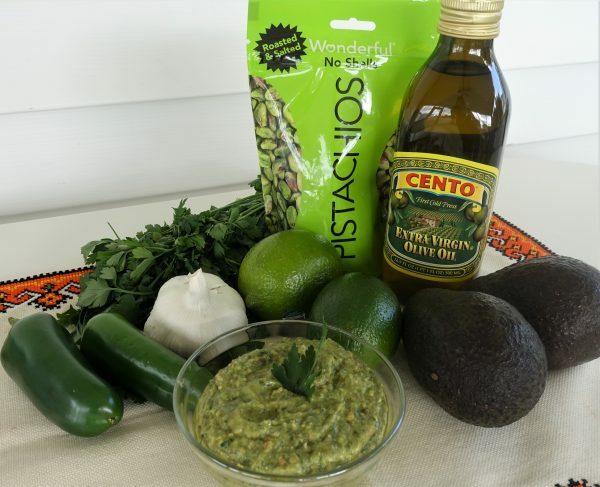 In the past post I mentioned a very nutritious Quinoa salad flavored with this Magic Green Sauce. I am providing a link to its origin, but will also post the ingredients and directions in this post, in case the link stops working at some point, and because I made some minor adjustments to suit my taste. 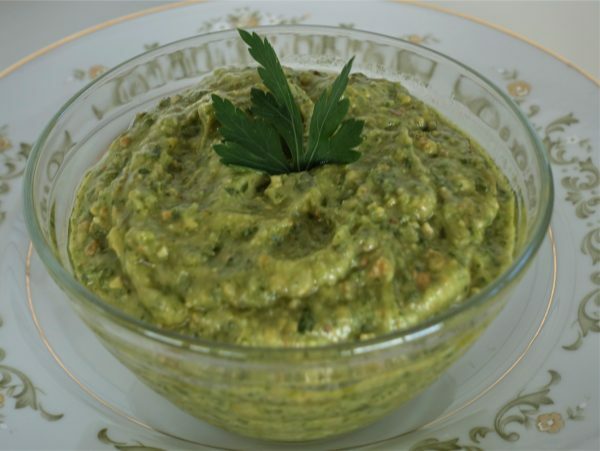 The first time I made this sauce I was concerned about it changing color, due to the use of avocados in the recipe. I made it very fresh just before mixing it into the quinoa salad and serving it. To my pleasant surprise, the leftover sauce stayed vibrant green for a whole week, and I loved using it on pasta, as a dip with veggies, and in my garden salad. This recipe yields 5 cups of sauce. Please stay tuned, since my next post will include the Quinoa salad which pairs perfectly with this sauce, and makes a deliciously nutritious dish that fits any menu. Place all ingredients (except Pistachios) in a food processor, and pulse until well incorporated. Add pistachios and pulse until all chopped to your preference. I liked mine to meet a grainy consistency, rather than larger chunks. You may also add more water or oil to thin it out if you wish to use it as a regular salad dressing. I used mine in its original consistency, and really loved it on Quinoa as well as on pasta.